St. Hedwig Catholic Church is proud to have a parochial school serving TK-8 as part of our community. 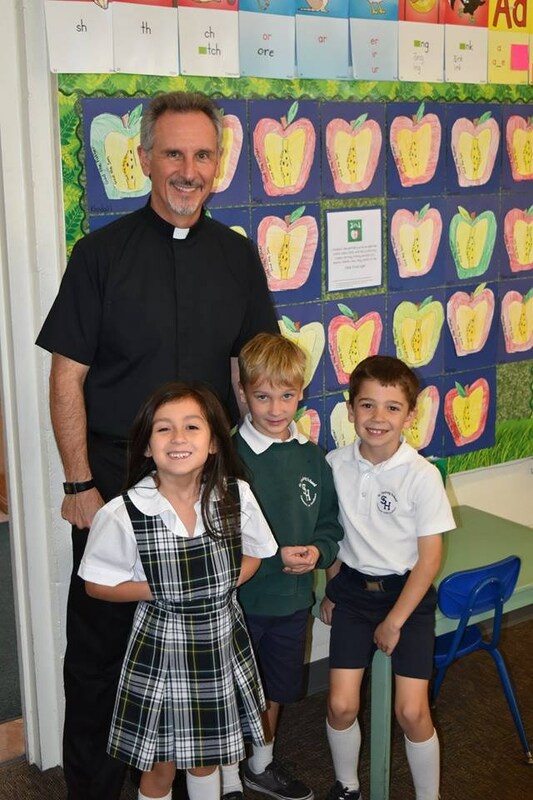 We strive to keep a strong bond between the activities of our parish school and the whole parish, integrating school events and parish events and good communication between the parish staff and school staff. The mission of the parish is to “Go and make Disciples,” as Jesus said (Matthew 28:19), and this is the reason for our Catholic school as well. You will find in our school community excellent academics, competitive sports, strong character formation and faithful discipleship. We celebrate our nation’s value of freedom of religion and offer an alternative to a purely secular education. We are intentionally Christian and Catholic and not only teach the basic subjects you could receive anywhere, but we do it in the context of a Christian community of prayer and service to the wider parish, the local and international community of the Church and the world. Our gradutes continue on to excellent academics in high schools around the region. Our sports programs have always been award-winning, and our participation in the academic decathlon has garnered county-wide recognition. I know you have many options for the education of your child. e look forward to assisting you in the full development of your family on every level – spiritually, intellectually, socially and physically. As members of our parish school, you are also most welcome to worship with us and be a part of the life of St. Hedwig Church.